Send something to crack your friends up, or show off a new dance move—whatever you want. Qik even lets you erase your video right out of the chat. ** Don’t just send just text or photos. What can you do with Qik? 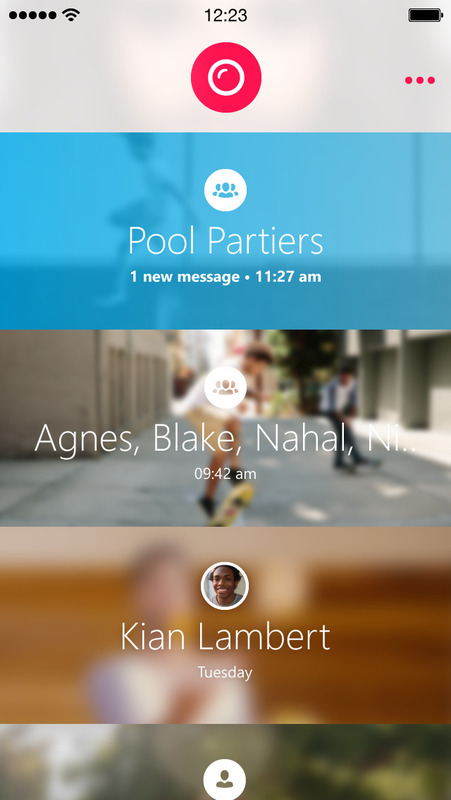 • Create groups in a flash: grab a bunch of friends from your phone’s address book and start a private chat. • Pre-record and send video clips (Qik Fliks): can’t respond right away? Thumbs-ups, smileys and more, starring you. • Erase your message and it disappears from the conversation. ** • Keep it fresh—messages are automatically erased from Qik after two weeks. • Start a conversation any time—no login, usernames, or passwords needed. * Mobile data rates may apply. New ^ menu lets you delete, save or send your message to another conversation. Friend didn’t open the SMS invitation to Qik you sent? Now you can send it again. Now optimized for iPhone 6 and 6+ screen sizes. PLUS, a special holiday surprise! © Copyright (c) 2014 Skype. All rights reserved.